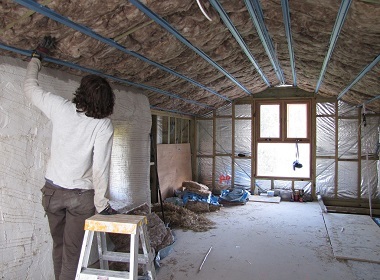 As the prevailing trend today is achieving energy efficiency in everything we do and reducing the carbon footprint, citizens and governments are doing their best to invest in efficient home insulation. However, many people still cannot afford it or remain suspicious. It is necessary to explain why it is wise for every home owner to improve their home insulation. Due to the harmful effect of the greenhouse effect on living conditions on Earth, everybody should try to reduce their individual carbon footprint. One of the ways for reducing the amount of the greenhouse gases you emit on a yearly basis is choosing a high-class insulation option. According to the Energy Saving Trust, an owner of an average semi-detached house can save about £145 per year if he or she invests about £450 in the cavity wall insulation. Such a home will annually emit 600kg less than its uninsulated counterpart. Babies, older people and people with chronic health conditions should not be exposed to high temperature variations. Frequent moving from a warm room to a cold one can cause extreme amplitudes in the body temperature and blood pressure, which can lead to serious problems. Also, living in a cold home can have a long-lasting negative effect on your health, mostly on respiratory organs. 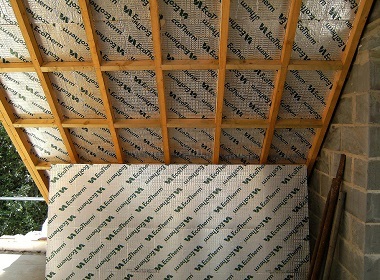 Insulating a home in a proper way will reduce the thermal differences that might cause such problems. Every home needs occasional natural cooling by opening the windows and letting the fresh air into the house. It is a great way of giving your space a touch of genuine air, since heated spaces can often get sultry. What is inefficient is a home in which air leaks in and out wherever it wants, causing a substantial loss of energy, as well as constant draught. Once again, babies and grandparents are the two groups that react badly to draught (especially grandparents). 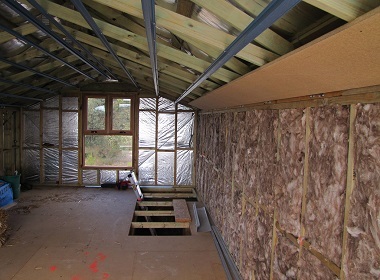 So, eradicating draught by air sealing should be applied wherever possible, as an important step towards more productive home insulation. Ditching a car whose warranty has just expired for a brand new one is not a necessary move, but it will contribute to the overall quality and safety of your life. The same analogy can be applied to insulation. When your house was built, the materials used for insulation were different than the ones used these days. For instance, today people usually rely on fiberglass, icynene, mineral and sheep’s wool, as well as cellulose. Apart from being efficient, those modern materials are expected to have a high R-factor and be eco-friendly, too. As we have pointed out in the intro, governments and citizens work together to increase the insulation efficiency of their homes. In accordance with that green policy, it would be wise to use some of the insulation grants that the UK government offers to its citizens. No matter where you live, both central and local governments usually make affordable deals to help people who want to invest in home insulation. Reducing different energy bills on a national level helps the overall progress of a community. The tricky side of insulation renovations is that they usually require investing more money at once. They do pay off over a course of years, but the initial expenditure is often too high for most households. Thanks to the understanding that we need environment-friendly insulation solutions, governments are offering an extra hand. With their help, many homes throughout the world will become warm and energy-efficient, which is a tremendous contribution to ecology.